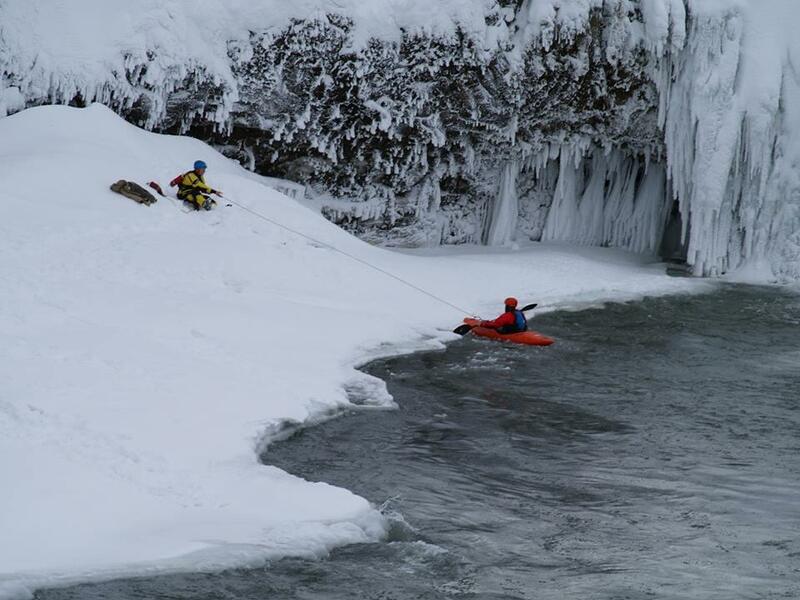 Waterfalls in Iceland can be even more spectacular to see during the winter months. One of the most beautiful waterfall is the 12 meters tall Goðafoss waterfall which is located in the north-east part of the country. 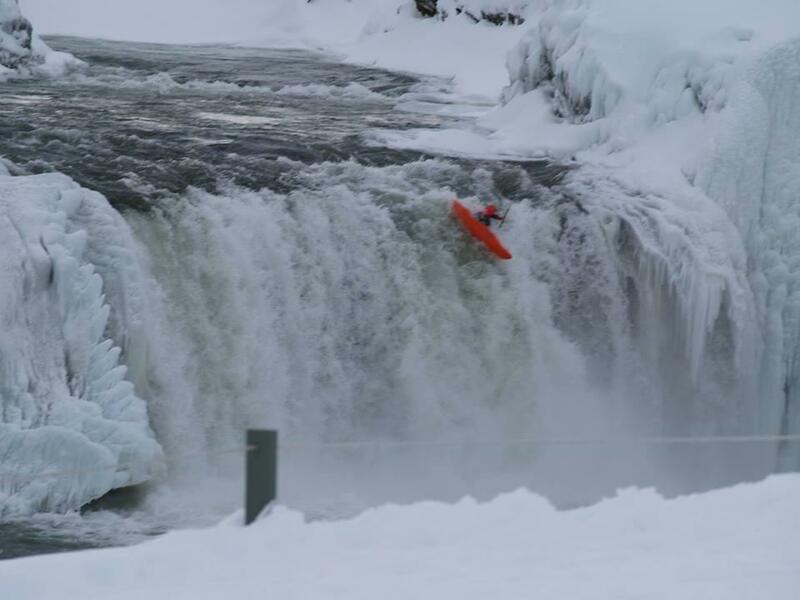 This week, the German deardevil Matze Brustmann became the first human to kayak down the waterfall during winter. The local news paper 641.is reports that he had gone serveral times down the same waterfall some years ago during summer, but this was something new and astonishing. He apparently like dangerous waterfalls in Iceland, but apart from Goðafoss he sailed down Ullarfoss and Aldeyjarfoss waterfalls some years ago. 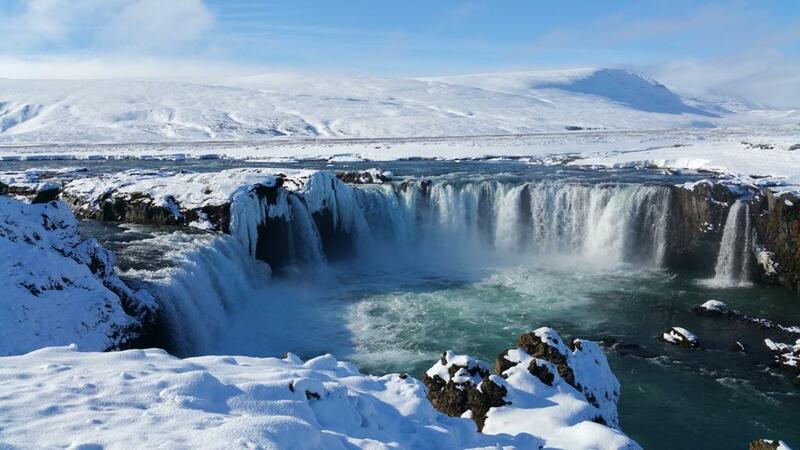 Goðafoss waterfall is located only 45 minutes drive from Akureyri, the capital of the north. It’s name is originated from the sagas and litterally means The waterfall of the gods.